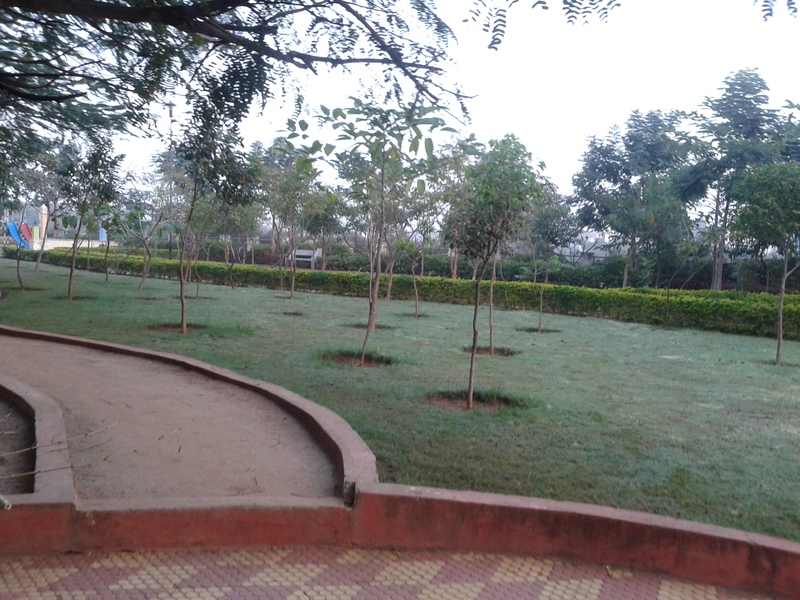 The park, early in the morning. I moved into a new Hyderabad locality recently. Since the last month, I have been exploring the area post-dinner. 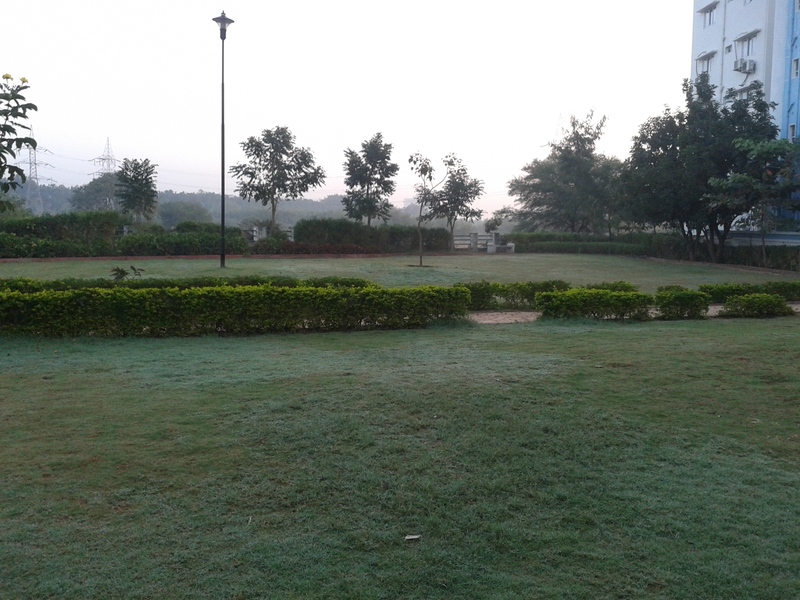 The first day of 2014 being a holiday at office, I decided to engage in this exploration in the morning. 8.30 am. I step out into the cool brilliant sunshine. A crisp south Indian winter (yes, 18C is winter for us). As I walk ahead, I notice a street I had not seen before on my nocturnal walks. This one is quiet, far from the noises of the main road. Walking beyond the 5-floor apartments surrounding it, the skyline clears. And suddenly I see a park. Right at the end of the street. I vividly remember an event from my childhood. A little distance from my home, a new block of buildings was coming up. The entire area had been dug out, creating hills of mud and sand. I wasn’t aware of this development since I had been at school the entire week. On the weekend, when I came to know, I was elated! Having grown up in Ahmedabad, the flattest place in India with no mountains within a radius of 1000 kms (I am exaggerating, please don’t check Wikipedia or Google Maps), even these small hills were pure adventure! It was as if an entirely new world had sprung up just for me to explore! I must have played there for weeks! P.S. Please don’t ask me how I failed to notice such a huge park. 🙂 And no, I am not going to play there daily.